CNH has led the baler segment for over 25 years, and has introduced a string of pioneering firsts that have revolutionized the way balers operate today. For example, over 235,000 RB balers are working around the globe in the expert hands of farmers and contractors to bring the harvest home. Whether you are a Hay and forage operation, straw contractor, biomass business or large scale arable farmer, the ultimate baling performance is guaranteed in all crops and all farms. New generation LB balers feature revisions and refinements throughout, to create machines even more productive than their predecessors. 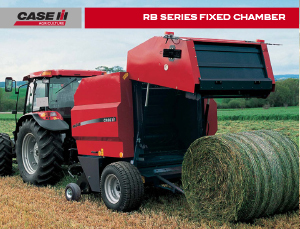 You’re guaranteed a rugged, robust and reliable baler whichever model you choose. Each one is designed to make your baling more productive, more profitable and more of a pleasure. 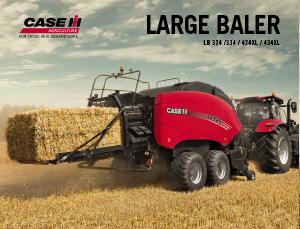 At Case IH we like to keep farmers productive especially during harvesting. That’s why we have introduced a new fixed chamber round baler, capable of harvesting the crop with remarkable speed and efficiency. Perfectly formed bales are rolled and wrapped in under a minute and they are ideally formed for storage and transport. 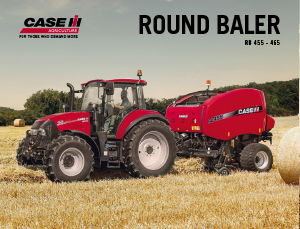 The RB545 and RB545 Silage Pack round balers from Case IH are designed to make baling faster, easier and simpler, all while producing higher-quality results. 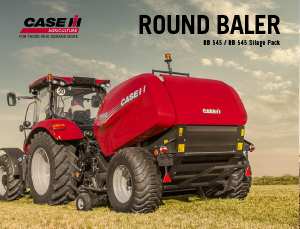 In stand-alone format, the RB545 is an excellent hay and straw baler, capable of making firm, well-formed bales which keep their shape during storage. In Silage Pack format, the RB545 is equipped with an integral wrapper, turning the complete silage-making process into a one-man operation, saving precious time and money.